Friday 4 October 2013 will be recorded as a red letter day for Caribbean justice. On that day the Caribbean Court of Justice (CCJ) delivered its verdict in a case in which a Jamaican, one Shanique Myrie claimed among other things, that the Barbados authorities unlawfully restricted her right to freedom of movement within the Caribbean Community. The Claimant based her claim on the combined effect of Article 45 of the Revised Treaty of Chaguaramas (RTC) and a Decision of the Conference of Heads of Government of the Caribbean Community. This decision was taken at their Twenty-eighth Meeting (“the 2007 Conference Decision”). In accordance with the RTC, as an individual, Ms Myrie obtained the permission of the Government of Jamaica to approach the CCJ directly on the matter. Myrie claimed that upon her arrival at the Grantley Adams International Airport in Barbados from Jamaica on 14 March 2011, she was made to undergo a painful and humiliating body cavity search by a Barbadian border official, was subjected to verbal abuse, was locked up in an insanitary cell overnight and was deported on the following day. The CCJ was therefore requested to make a determination on the matter. The CCJ is a regional judicial tribunal established on 14 February 2001 by the Agreement Establishing the Caribbean Court of Justice signed by Caricom countries. In its Original Jurisdiction the Court discharges the functions of an international tribunal, applying rules of international law in respect of the interpretation and application of the RTC. Original Jurisdiction refers to the authority of the Court to hear matters which originate in that Court. This Original Jurisdiction must be distinguished from the Appellate Jurisdiction of the court, which jurisdiction only came about in 2005. For the time being only Barbados, Guyana and Belize have acceded to the Appellate Jurisdiction of the CCJ. This Appellate Jurisdiction is meant to take over from the functions of the Privy Council which is the final court of appeal for most Caricom countries. Before reaching the Privy Council or the Appellate Jurisdiction of the CCJ, cases would have been heard in the High Courts and the Courts of Appeal in various Caricom countries. In the Myrie case the judgment was delivered by the President of the CCJ, Sir Denis Byron at the CCJ’S headquarters, located in Port of Spain, Trinidad. He was one of a seven-judge panel which sat on the case. 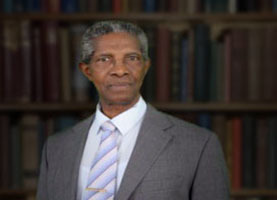 Having determined that it had the jurisdiction to hear Myrie’s claim against the Government of Barbados, the court held that the standard of proof in the case must be lower than the standard used in a criminal case whether domestic or international. The court held that the 2007 Conference Decision conferred a right of “definite entry” of a minimum of six months to Caricom nationals within the Community, subject only to public interest considerations such as the protection of public morals, the maintenance of public order and safety and the protection of life and health. Notwithstanding, the Court made it clear that the scope of refusal on these grounds must be interpreted narrowly and strictly and the burden of proof must rest on the Member State making the allegations. The court further held that where a Community national is refused entry into a Member State on a legitimate ground, that national should be given the opportunity to consult an attorney or consular official of his or her country or to contact a family member. Additionally, the court required Member States to give promptly and in writing, reasons for refusing entry to a Community national and to inform the refused Community national of his or her right to challenge the decision. Based upon the above considerations, the Court held that the treatment which was meted out to Shanique Myrie on 14 March 2011 by the Barbados authorities at the Grantley Adams International Airport was in breach of her right to entry and so she was entitled to be awarded damages. The Court then ordered the Government of Barbados to compensate Ms Myrie in pecuniary damages in the sum of BB$2,240 and non-pecuniary damages in the sum of BB$75,000 and to pay reasonable costs. Especially because of this case involving the Jamaican national Shanique Myrie against the Barbados authorities, it is expected that Caricom nationals would be able to enjoy hassle-free travel to other Caricom states. It is indeed a landmark decision which was made by the CCJ in its Original Jurisdiction. It is an indication of a bright future lying ahead for Caribbean jurisprudence.